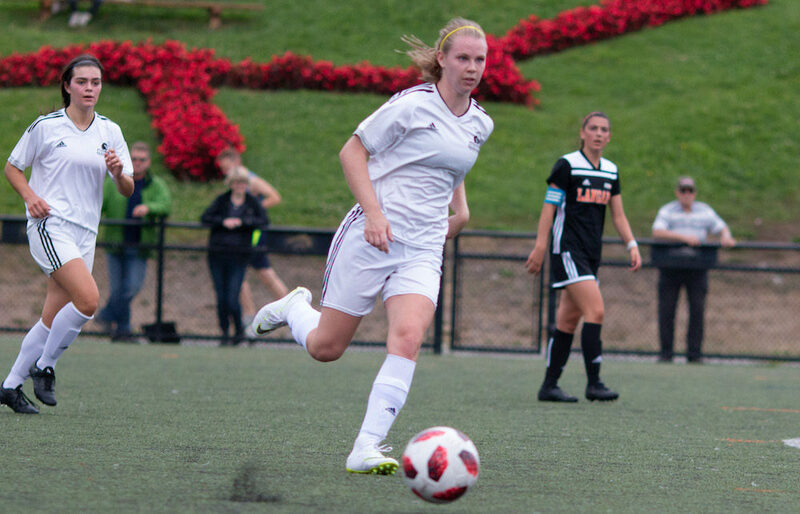 NEW WESTMINSTER — She arrived at a time when the Douglas College Royals women’s soccer program didn’t even know what a national identity was.Now, as she begins the final week of her collegiate career, Samantha (Sam) Kell will first look back five seasons to humble beginnings in the Royal City, then steady her teammates to the reality of trying to win the 2018 Canadian Collegiate Athletic Association’s national championship, which begins a four-day run Wednesday at Coquitlam’s Percy Perry Stadium with Douglas as the tournament host. “It’s super cool because ever since I have come here, there has been so much change and I have been able to see us grow,” says Kell, 22, the Pitt Meadows native who has helped the Royals reach the last three CCAA national championship Final Fours, all of which ended without safe passage to the national final. On Thursday, the Royals will be in tough right out of the gates against Quebec City’s Garneau Elans, a team with which they have developed a serious rivalry the past few seasons. That match will wrap up the four-game opening-round slate at Percy Perry. Fellow PacWest rival Vancouver Island University will also take part, the league champion Mariners from Nanaimo clashing with the St. Lambert Cavaliers in a 12:30 p.m. game. Championship semifinals take place at 3 p.m.and 5:30 p.m. Thursday, with the title match scheduled for a 3 p.m. start on Saturday. And if this weekend represents a finish to a college career Kell couldn’t quite have imagined, the same could be said for her beginning. 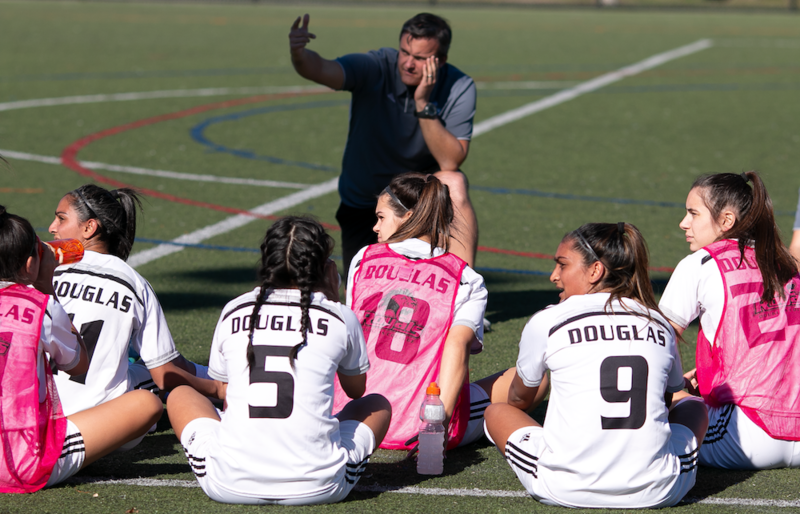 The Coquitlam Metro Ford and Pitt Meadows Secondary grad had always wanted a post-secondary soccer career, and Douglas was the place she wanted to play. Yet when it came time to attend player tryouts back in the spring of 2014, the Royals just happened to be going through a coaching change. “I wasn’t hired until April of that year but (Sam) was hanging around practices because she knew our captain at the time,” laughs head coach Chris Laxton, who not only got the gig, but has since changed the fortunes of the program over five successful campaigns in the Royal City. Laxton also didn’t know what precise ingredients he needed to change the future of Douglas College women’s soccer. Yet as he took over a program which had finished last in the PacWest with a 2-14-0 record the season before his arrival, and one that had not gotten to the national tournament in somewhere near 40 years, he very quickly discovered just what role Kell would come to play in the uprising. Or should that be what roles she would play? In her freshman 2014 season, Kell learned the college ropes at her natural midfield position as Douglas finished second (10-4-1) in PacWest league play and third in the playoffs, just missing out on a trip to nationals. In 2015, with Kell playing mostly at left back, but also as a keeper, Douglas went 10-3-2 to finish first in league play and later, fourth at nationals. “She’s likely the first player in our program’s history to get a goal, an assist and a shutout in the same season,” said Laxton, who played Kell in net at crucial times of the campaign, including the PacWest semifinal and the national quarterfinals. As a side note, Kell had never played keeper in youth soccer. She says that she was ready when Laxton asked, however, because of her background as a goalie in ringette, a sport where to this day she continues to stand between the pipes. In 2016, when the Royals claimed national bronze, Kell started the entire season at centre back. Then, quite amazingly, Laxton installed her as a striker for the 2017 season and she promptly led the PacWest in scoring en route to fifth at nationals. A return to the midfield in her senior year has been symbolic of coming full circle. In hindsight, if Laxton had been allowed to sketch the qualities of the player he would have wanted five years ago to turn the fortunes of his program, it’s easy to see he would have listed the dedication, the skill, the versatility and the perseverance that Sam Kell has brought. Laxton even quantifies that success in numbers. Kell knows not everyone gets the chance to potentially author such a storybook finish. And none of what any of what his players will experience this weekend is lost on Laxton. The 2018 Royals were led in points this season by Mikayla Hamilton, whose six goals and 12 points tied for first in the PacWest. 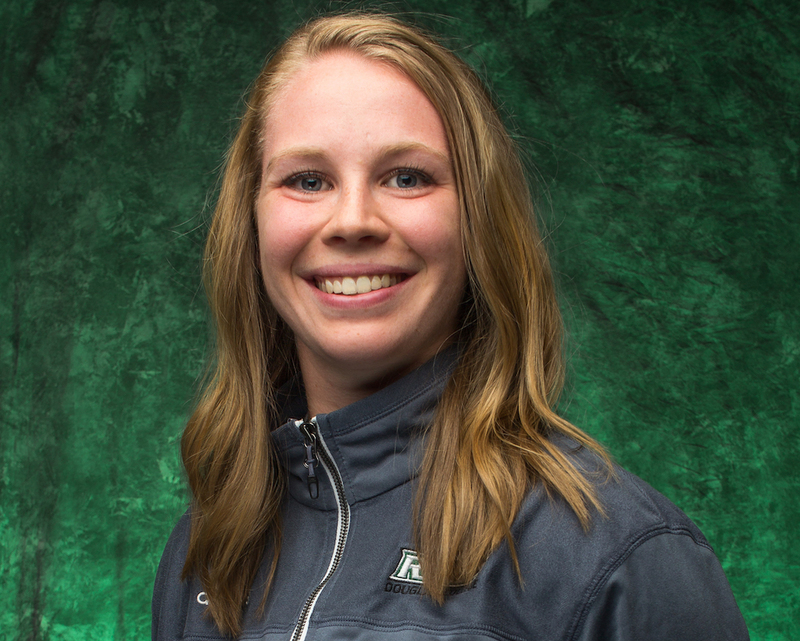 Keeper Alexa Gazzola was second in the PacWest in both save percentage (.820) and goals-against average (0.91).